Immigrants who want to reside in the United States on a permanent basis may be considering a permanent visa. After all, as the third largest country in the world by population, the United States is a great place to live, work, and raise a family. There is a diverse mix of culture, climate, and lifestyle, and people who live here typically enjoy a higher quality of life than in many other countries around the world. 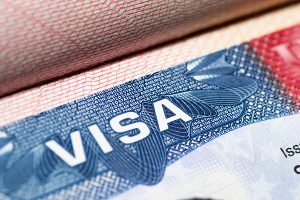 A primary benefit of permanent residency in the United States is that you’ll have the freedom to permanently live and work here, as well as travel at-will outside the U.S. You may also be entitled to receive certain social benefits, including insurance and Social Security, as well as retirement benefits. With some non-immigrant visas, you are only allowed to stay in the United States for a short period of time before having to reapply to extend your stay. Unfortunately the road to becoming an American citizen is often paved with long waiting times and endless bureaucracy. The next best thing, aside from citizenship, is permanent resident status, which is commonly known as a green card. The only things people with a green card cannot do are vote and receive government benefits. The biggest drawback to green cards is that they offer no protection against possible deportation. Once you have a green card, however, you are eligible to apply for permanent residence after five years. The easiest way to get a green card is to have a relative who is a U.S. citizen or lawful permanent resident sponsor you. You must supply proof that you are related and that he or she can support you at 125% above the poverty line. U.S. citizens are allowed to sponsor a spouse, as well as unmarried or married children. Foreign siblings and parents can also be sponsored if the American citizen is 21 or older. Permanent residents are only allowed to sponsor a spouse or unmarried children. Once you have filed the proper paperwork, the State Department will evaluate your case and assign a visa number to you, if one is available. If there are no visa numbers available, you’ll be added to a wait list and notified when you’re at the top of the list. Having an immigrant visa number paves the way for you to apply for permanent resident status. If you happen to be traveling outside the United States when a visa number becomes available, you must travel to the nearest U.S. consulate to complete the paperwork. You can also get a green card through sponsorship from your employer, which is considerably easier if you have certain skills and/or talents that contribute to the national interests or benefit the U.S. in one way or another. The most common examples of these types of professions include doctors, professors, artists, and scientists. If you do not fit into one of the “exceptional skills” categories, then you will be required to get a labor certification prior to applying for a green card. This labor certification means there are no qualified American workers who can fill your position, and hiring you will not adversely affect the wages of any worker in a similar position. Once you have your labor certification, your employer will apply – on your behalf – for a green card classification via Form I-140. When the petition is approved, you will be eligible to apply for interim work and travel authorization so that you can begin work immediately. To change your status to permanent resident status, you will need to file an Immigration Petition, your labor certification and Form I-485 with the bureau of Citizenship and Immigration. Although the entire process could realistically take up to two years, you will be able to work immediately once you receive interim work authorization. Your last option is to try your luck by winning a green card in the U.S. Green Card Lottery. Although your chances are not overwhelming – there are 8 million other names in the lottery and only 50,000 are selected annually – there’s always the possibility that your name may be selected. In order to qualify, you must have a high school education or two years of work experience within the past five years in an occupation that requires a minimum of two years training or experience. Do You Need a Permanent Visa or Green Card? Whichever path to citizenship you choose, having an experienced immigration attorney by your side can make all the difference in the final outcome. At Elissa I. Henry Law Firm, PLLC, our immigration lawyers can help you navigate through the lengthy immigration process. With offices conveniently located in Round Rock, Texas, we are here for you when you need us the most. Call us today at (512) 766-4529 for a free consultation and review of your case.